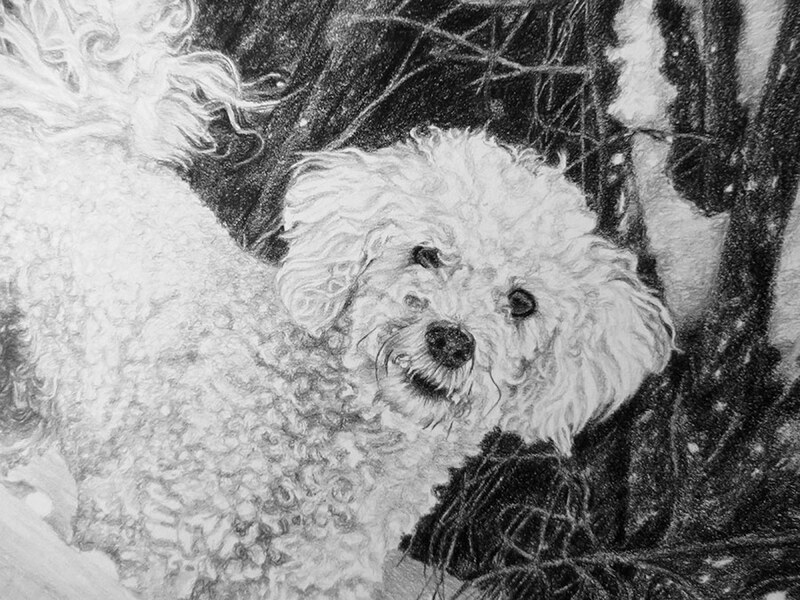 This drawing is drawn with graphite pencils on paper at 25 x 30 cm. It was a drawing commissioned for Christmas. 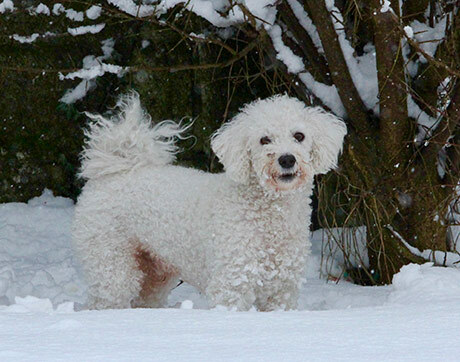 The dog is Lucky, the beautiful bichon frise. I just loved the photo the client provided me to work from. 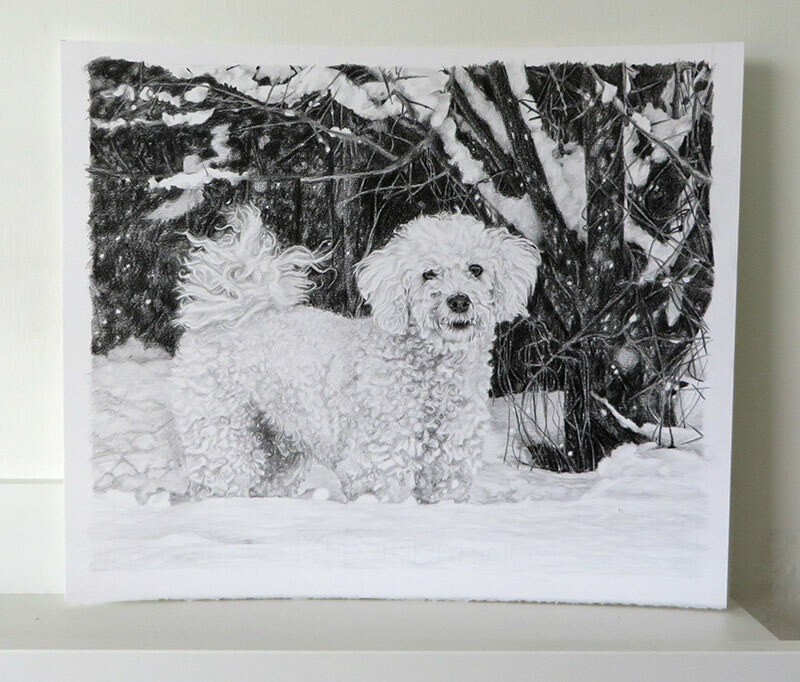 The snow and trees in the background work so well in the monochrome drawing. Hi Ivana, wow that is fantastic. Thanks again so much. 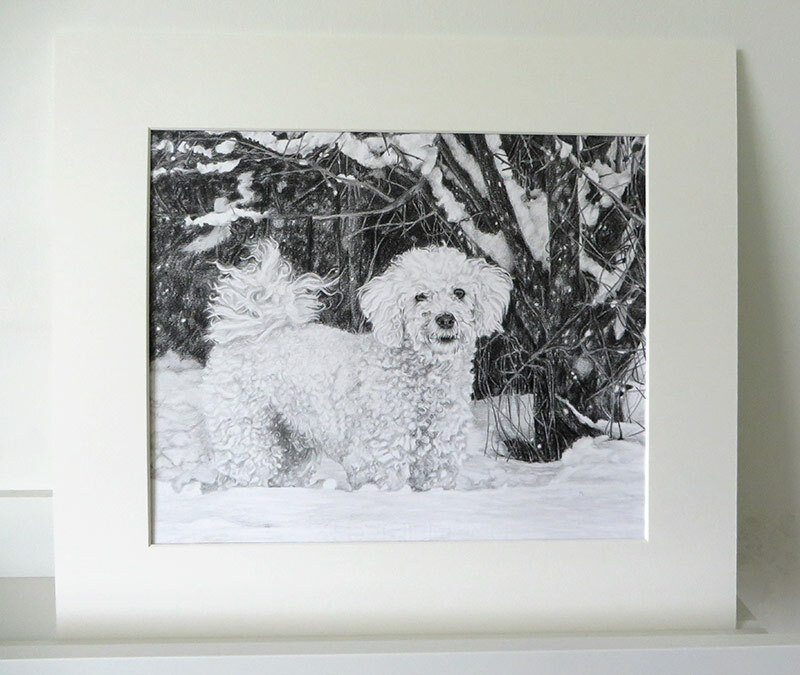 I took some photographs of the finished drawing on paper and after I mounted it.